A Flawless skin is the dream of every woman. We all love our skin and maintain it in every possible way. But sometimes proper maintenance can be difficult, especially when we have acne on our skin. Even after taking all care there can still be acne breakout. There are many types of acne. 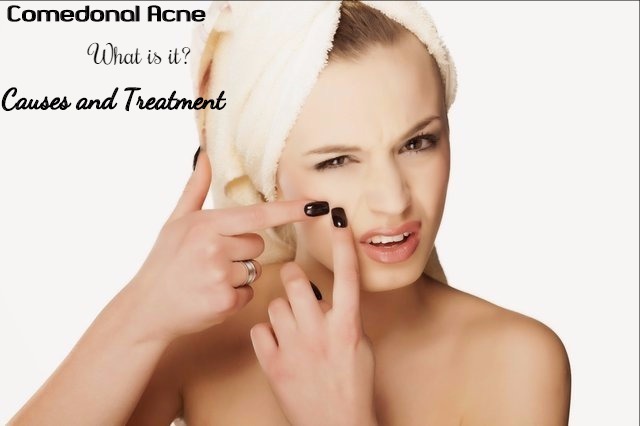 Comedonal acne is that which occurs on our forehead and the chin. We call them blackheads, white heads and acne. Whiteheads are very common. Most of you must have had it. These appear as white spots on the skin and are harmless. The pores of the skin contain natural oil glands. Sometimes this oil gets trapped below the outer layer of the skin. It is this oil that appears as whitish on the surface. Blackheads are black spots. They are also known as open comedo. They are not inflammatory and they are mostly found in the T-zone. The oil and sebum secreted by our glands sometimes get clogged by the bacteria, oil or skin debris. When these come in contact with the oxygen in the air, they react with the oxygen and turn black. Sometimes the blackhead can also turn a bit yellowish. Blackheads are the signs of the first stages of pimples. If you leave it untreated then they may turn red and crate a papule or pustule. Pimples are red, inflamed acne. This may or may not hurt when you touch it. It can cause scars or spot on your skin. Usually everyone goes through changes during puberty. The main changes experienced are an increase in the hormone secretion. This can affect the oil glands on the skin. As a result, the oil glands produce excess oil in the skin. This excess oil leads to the formation of blackheads and whiteheads. During puberty it is important that you know your skin type and use products that suit your skin type. Shoulder pads, helmets, head bands and even bra straps can cause acne as these are breeding grounds of bacteria. Skin and hair products can clog the skin pores lead to acne breakout. Oil-based skin products often cause acne. Aggressive cleaning is another reason for the appearance of acne. So, do not scrub your face too hard or too often. Touching your face is also likely to cause acne breakout. This is because it spreads the acne causing bacteria on your skin. If your hair is touching your face it can increase the production of oil in your skin, especially if you have oily skin. This leads to acne. Stress is also a reason for acne breakout. So, try to remain stress free and peaceful. Some medications like corticosteroids, certain barbiturates and lithium can cause acne to appear on your skin. This means that acne is caused by hormones, but these factors can make it worse. Acne is often genetic. It often appears before the periods in premenstrual women. Athletes and bodybuilders taking steroids may also suffer from acne. Diet also has a major role in the development of acne. How to Treat Comedonal Acne? It is very important that all of you cleanse your face twice a day. There is so much of pollution, dust and bacteria in the air that your skin gets affected by these factors. So, you have to cleanse your face to remove them from the pores and to keep the skin pores unclogged. If the skin pores get clogged, it can lead to whiteheads and blackheads. Bacteria that get clogged in the pores of the skin give rise to painful pimples and may result in papules and pustules. So, your daily skin care routine should surely include cleansing of the skin. Try to avoid using makeup as much as possible. This is because makeup can clog the skin pores and stop your skin from breathing freely. It is also a must that you should cleanse your face properly at night before you go to bed and remove all traces of makeup from your face. This is because left over makeup on your skin is very bad for the skin and can even cause premature aging of the skin. If any comedonal acne appears on your skin, try to treat it with salicylic acid. You will get it in it in medicated face washes and cleansing foams. These are best for treating acne. Salicylic acid foam is available without prescription. But it is very mild. So, it is better that you consult your dermatologist and have a prescription from him. Consult your doctor and check if you have hormonal problems. This way you will know how to treat acne in a better way. Some have it due to hereditary reasons while in some there is a sudden spike in hormones, causing acne. A number of over the counter creams are available for treating blackheads and whiteheads. But it is best to consult your doctor and take his advice before using anything on your own. Acne can make you frustrated and feel unattractive. But there are millions of people facing the same problem. So, take proper care of your skin and find out the right solution for acne.